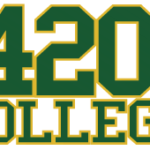 If you are interested in learning about how to start a collective you should consider enrolling in a course offered by 420 College. As the industry continues its rapid expansion many people are scrambling to get involved. Entering an industry in which you are not familiar is never advisable. The best way to protect yourself and your potential investment is to devote some time to educating yourself about the industry. 420 College courses are comprehensive in nature and will teach you how to start a collective, the differences between collective and co-ops, and how to cultivate. People in the marijuana industry often are not as cautious as they should be considering that cannabis is still technically illegal in the eyes of federal lawmakers. It’s imperative that before entering the industry you have a thorough understanding of the laws that apply to your state. 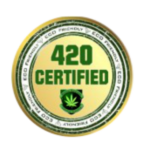 420 College courses also allow you access to the industry’s leading attorneys, accountants, and cultivators. The courses also serve as a unique networking opportunity where you’ll be able to exchange industry tricks and tips with like-minded individuals.